Maximilian has been rolling out a slew of Killer Instinct videos. 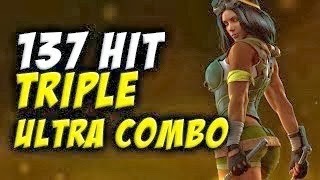 Now, the popular YouTuber has issued a challenge to anyone who can top his 137 hit triple Ultra combo. Will you accept Maximilian's challenge? Using Orchid in Killer Instinct, Max has pulled off a 137 hit triple Ultra combo. He has thrown down a challenge to anyone who can do better.